Lovely and resourceful Daria and Tisa escape a space gulag only to crash land on a nearby world where a guy in tight pants named Zed is playing The Most Dangerous Game. Zed turns the girls and another guest loose in his jungle preserve to serve as the prey in a mad hunt. Armed only with knives and their wits, the girls must battle their way accross the jungle to a hidden arms cache before Zed catches and kills them. Regions are unavailable for this movie. 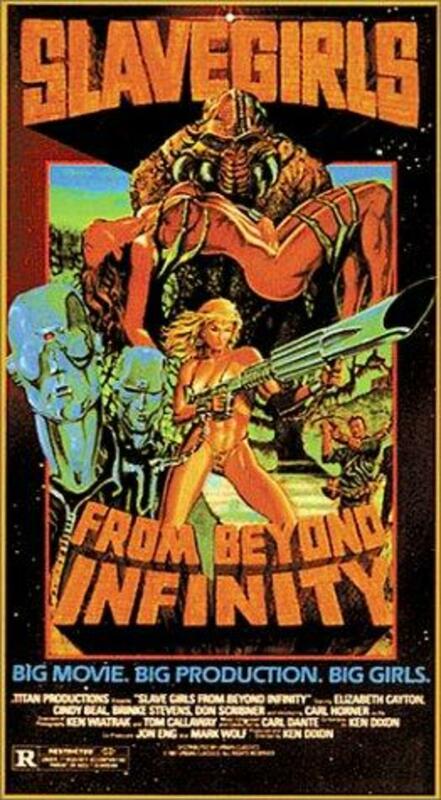 Click the "Watch on Netflix" button to find out if Slave Girls from Beyond Infinity is playing in your country.